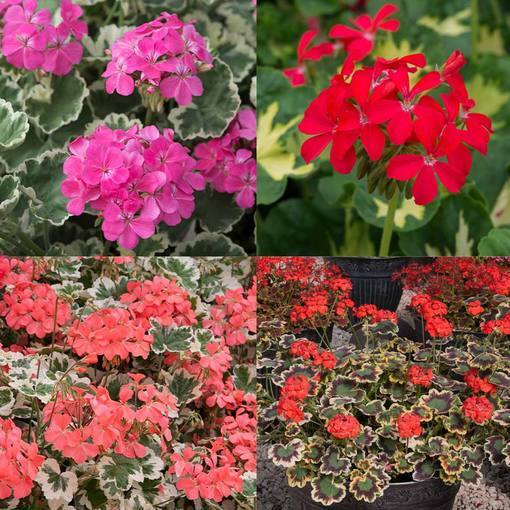 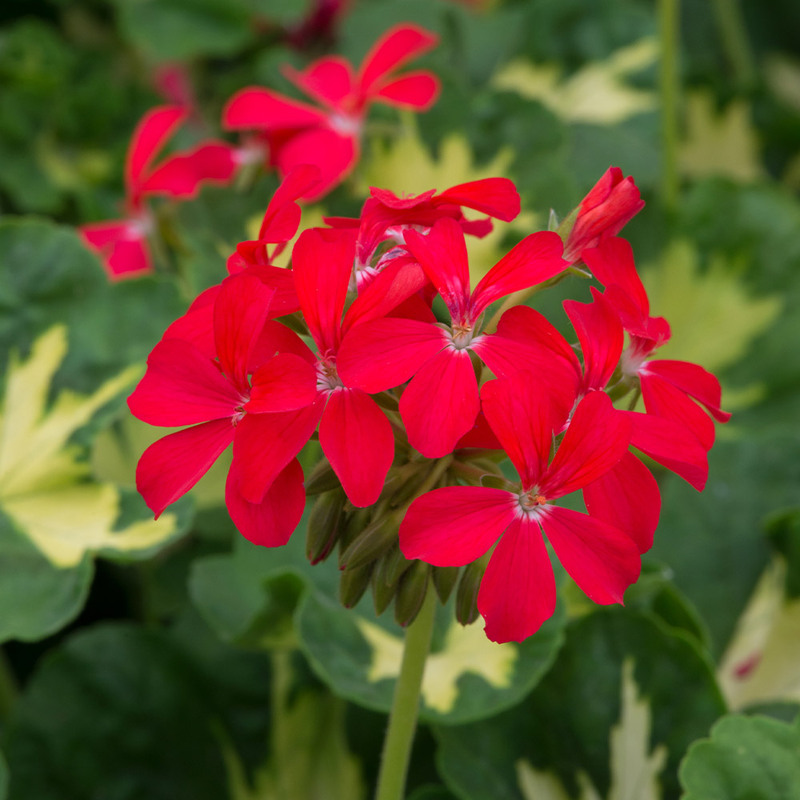 This collection of Pelargonium produces clusters of bright flowers on long thin stems, atop a bed of unusual variegated foliage. 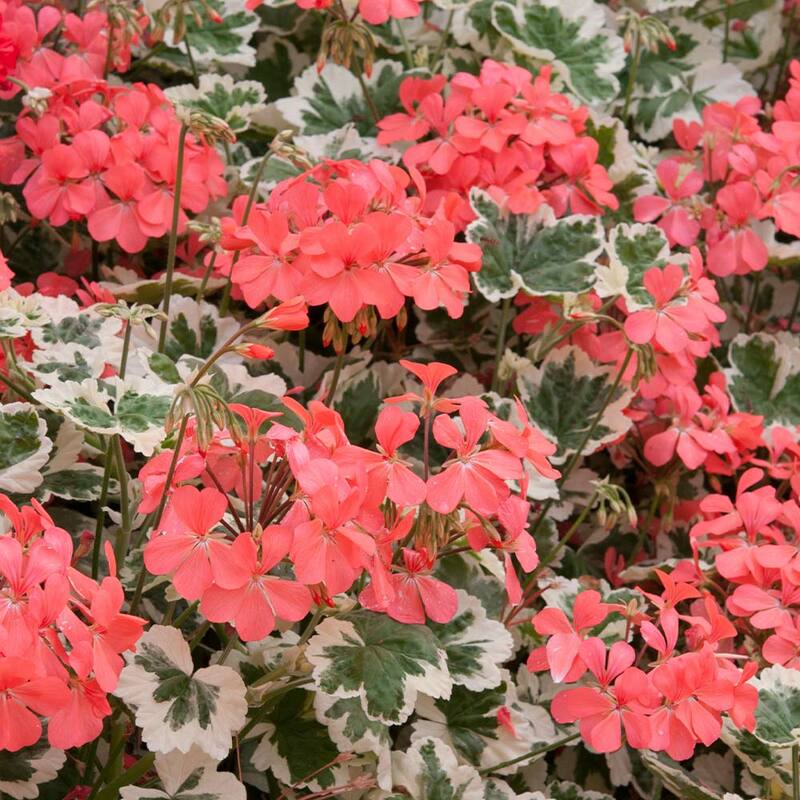 The striking multicoloured leaves make these bushy plants stand out in the garden. 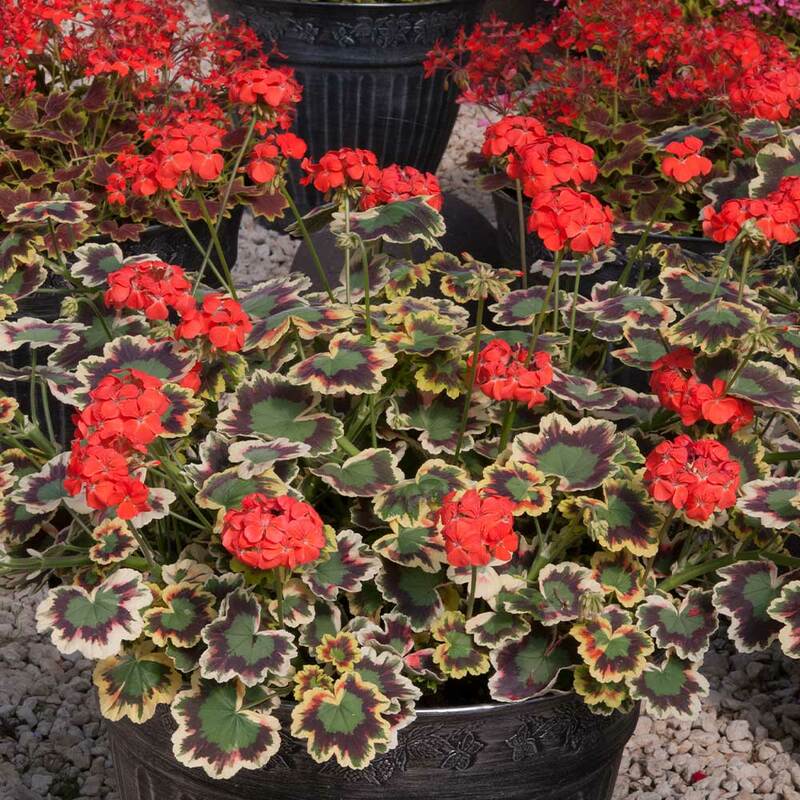 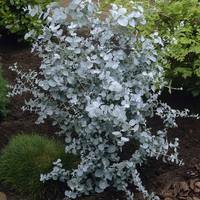 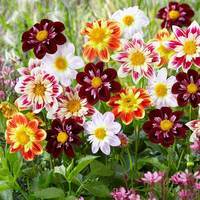 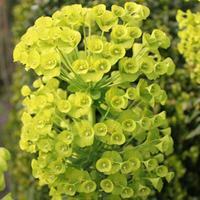 Their compact habit makes them ideal for the front of a border or in patio pots and containers. 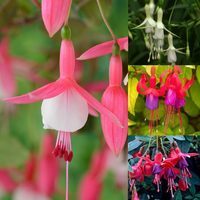 The collection includes three each of Frank Headley (salmon pink with white/green foliage), Happy Thought Red (red with dark and light green foliage), Mrs Pollock (red with green/purple/cream foliage) and Chocolate (orange with brown/green foliage). 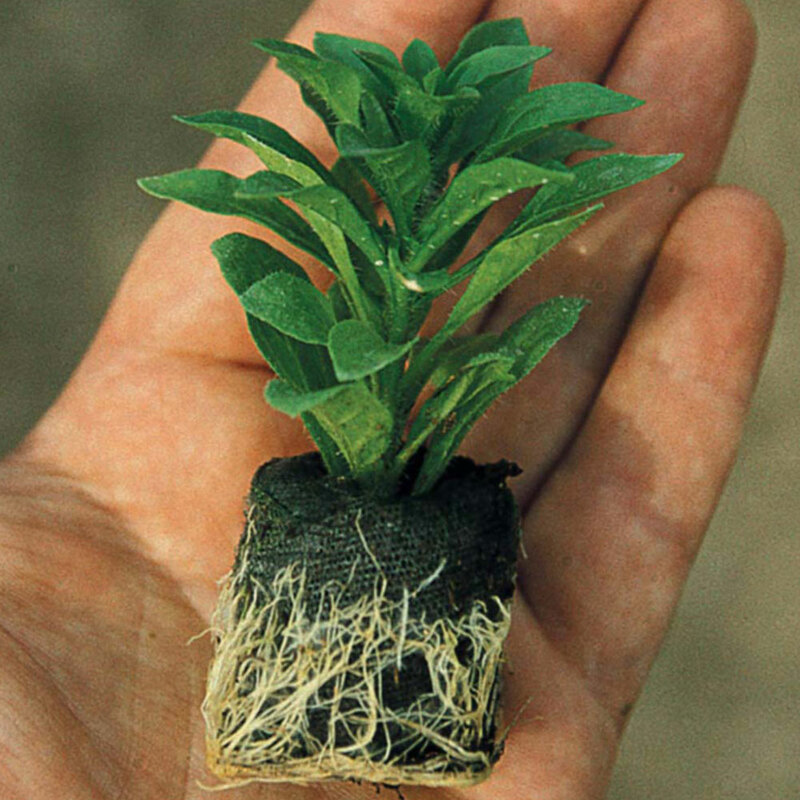 Supplied as UK-grown 3cm diameter plug plants. 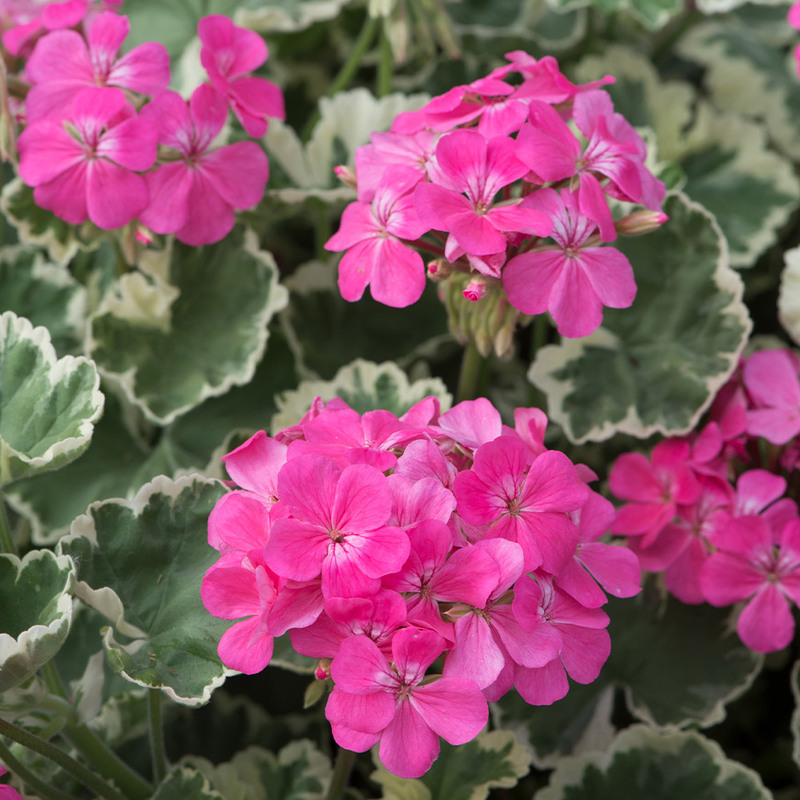 Remove old leaves and withered flower stems to encourage new growth.